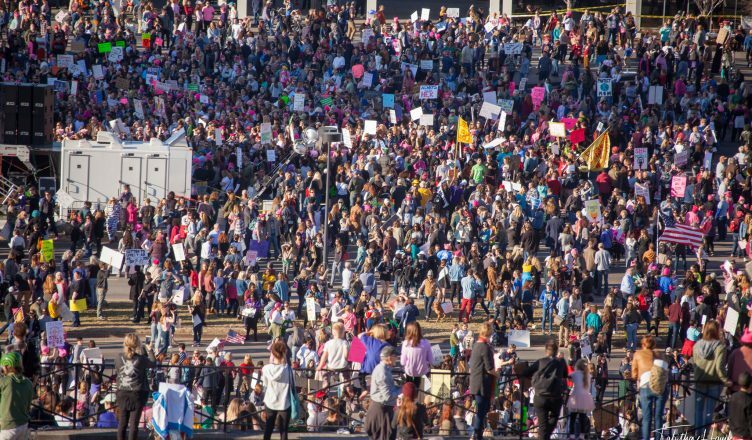 More than 15,000 in Nashville joined others across the country in the second Women’s March from Public Square Park to Bicentennial Capitol Mall State Park. Organizers say the event highlighted upcoming mid-term elections and diverse range of social issues. Dolly Parton was recognized by Guinness World Records for two career accomplishments just before her 72nd birthday Friday. The two records are “Most decades with a Top 20 hit on US Hot Country Songs chart” (six) and “Most hits on the US Hot Country Songs chart by a femal artist” (107). The Tennessee Titans wasted little time naming Houston Texans defensive coordinator Mike Vrabel as their new head coach. He replaces Mike Mularkey, who was fired after two years last week. The Nashville Predators (28-11-6) extended their win streak to five games with a victory over the Florida Panthers (19-20-6) Saturday night 3-4 to again claim the lead in the Central Division. They host the league-leading Tampa Bay Lightning (31-12-3) tomorrow night. Thieves led police on a 110-mile chase after stealing $6,000 worth of handbags from a Green Hills store. Their route was about as well planned as the heist itself. We’re sure the staff of the Indy Star are fine people, but this article proves comedy is best left to the professionals. Congratulations on looking us up on Wikipedia before coming up with our entry, guys. A Brentwood mother and son are among the first to receive an artificial pancreas to treat juvenile diabetes. Neither had been able to have a full night’s sleep in almost eight years before the treatment. A two dollar fee tucked into an amendment for one of the upcoming short-term rental bills before the Metro Council has been criticized for benefiting only one neighborhood while being collected citywide. The sponsor highlights the benefits to affordable housing in Nashville. If you happen to know the guy who graffiti-ed the restrooms, floor and front door of Loser’s Bar on Division Street, MNPD would like to have a word with you. They are looking for a guy with long hair in a bun and a beard. At least one odds-maker says Nashville has the inside track to be named the spot for Amazon’s second headquarters. The city has made the company’s list of 20 finalists. If you planned to head to one of Tennessee’s National Parks this week, you should be advised that the ongoing government shutdown is going to cramp, but perhaps not cancel, those plans. State legislators say there is a link between gift card fraud and the opioid epidemic in Tennessee and that a new law raising penalties will make using them less attractive for criminals. Nashville made another list of finalists, this time as the potential site of the NCAA Women’s Final Four tournament. Nashville previously hosted the tournament in 2014. If you were wanting to wash your car after last week’s winter weather, you might be waiting for a while. Several car washes reported breaking sales records. Photo by Tabitha Kaylee Hawk. Want to see your photo featured here?